No matter how good the interior of your home looks, buyers have already judged your home before they walk through the door. You never have a second chance to make a first impression. It’s important to make people feel warm and welcome as they approach your house. Spruce up your home’s exterior with shrubs and brightly colored flower or paint the trim on the home. Entry ways are also important. You use it as a utility space for your coat and keys, be sure to put those items away. When you’re selling your home, make it welcoming by placing a side table near the door with a vase of fresh-cut flowers or freshly baked cookies. Your house needs to be in “show-ready condition” at all times – you never know when buyers are going to walk through the door. You have to be available when they want to come see your home on a moments notice. Don’t leave dishes in the sink, keep the dishwasher cleaned out, the bathrooms clean and make sure there are no dust bunnies in the corners, dust your furnishings and run the vacuum whenever possible. It’s a little inconvenient, but it will get your house sold. You’re not actually selling your house, you’re selling your kitchen. The benefits of remodeling your kitchen are endless and the best part of it is that you’ll probably get 85% of your money back. It may be a few thousand dollars to replace counter tops where a buyer may knock $10,000 off the asking price if your kitchen looks dated. The most inexpensive kitchen updates include painting, new cabinets & hardware. Use a neutral-color paint so you can present buyers with a blank canvas where they can start envisioning their own style. If you have a little money to spend, buy inexpensive stainless steel appliance or replace counter tops with granite. It will leave a lasting impression. One of the most important things to do when selling your house is to de-personalize it. The more personal stuff in your house, the less potential buyers can imagine themselves living there. De-clutter and put it in storage, this includes family photos, memorabilia, collectibles and personal keepsakes. Consider hiring a home stager, staging simply means arranging your furniture to best showcase the floor plan and maximize the use of space. Quick fixes before selling will pay off. Do simple updates that will make the house feel updated, this will get you top dollar. Paint touch up or better yet fresh paint throughout, replace broken windows, torn screens, clean carpet or consider a carpet allowance, take down old curtain’s or bent blinds etc. Clean the curtains or purchase inexpensive new ones. Replace door handles, cabinet hardware, make sure closet doors are on track, fix leaky faucets, repair or patch any damaged drywall and clean the grout. You might think a cuddly dog would warm the hearts of potential buyers, but you’d be wrong. Not everybody is a dog or cat lover. Buyers don’t want to walk in your home and see a bowl full of dog food, smell the kitty litter box or pet hair stuck to their clothes. It will give buyers the impression that your house is not clean. If you’re planning an open house, send the critters to a pet hotel for the day. Be sure to hiring a well-informed broker. They must constantly monitor the multiple listing service (MLS), know what properties are going on the market and know the comps in your neighborhood. Find a broker who embraces technology – a tech-savvy one has many tools to get your house sold. Maximize the light in your home. After location, good light is the one thing that every buyer want in a home. Take down the drapes, clean the windows, increase the wattage of your light bulbs and cut the bushes outside to let in more light. 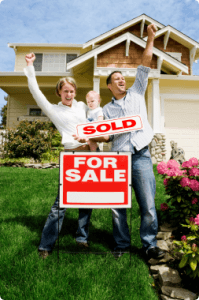 Be sure to make your house light & bright – it will make your home sell quickly. Storage is something buyers are looking for. Take half the stuff out of your closets then arrange what’s left by color, male vs. female etc. Buyers will snoop, so be sure to keep all your closets and cabinets clean and organized. Find out what your home is worth, then shave 5 to 10 percent off the price. You’ll be stampeded by buyers with multiple bids — even in the worst markets. It takes real courage and most sellers just don’t want to risk it, but it’s the single best strategy to sell a home in today’s market. If you are interested in learning more about the market value of your home and would like to set an appointment for a “Free In-Home” Market analysis you can contact me directly at 909-260-8228.